IRA distribution can meet your retirement needs. An individual retirement account allows you to save money for retirement on a tax-deferred basis until it's withdrawn. After age 59 1/2, distributions are tax free for Roth IRAs and taxable for traditional IRAs. Before age 59 1/2, you can take early withdrawals using specific distribution methods. Or you can leave your money untouched until age 70 1/2, after which the Internal Revenue Service requires traditional IRA owners to begin taking minimum withdrawals using specific distribution methods. Roth IRAs have no such withdrawal requirements at age 70 1/2. If you retire early, you may withdraw money from your Roth or traditional IRA before age 59 1/2 without penalty if you use one of the substantially equal periodic payment methods. Your IRA must distribute funds to you at least once per year for five years or until age 59 1/2, whichever is the longer period. Generally, you cannot change the method you use to calculate your distribution method or you will be subject to the 10 percent early withdrawal penalty. The substantially equal periodic payment methods you can use before age 59 1/2 are the life expectancy, fixed annuitization and fixed amortization methods. To determine the fixed distribution amount using the annuitization method, divide your IRA's value by an IRS-calculated annuity factor. The fixed amortization method determines your account balance and life expectancy factor using the same rules as the life expectancy method. However, it adds a third factor -- a growth rate assumption. The growth rate is a maximum of 120 percent of the federal midterm rate, published on the IRS' website. The life expectancy method is also called the required minimum distribution, or RMD, method. It uses IRS life expectancy factors and your IRA's value at any date in the year of distribution before that year's withdrawal. Hence, this method provides an amount that may fluctuate each year. If your IRA's value increases or decreases, the year's distribution amount will increase or decrease, respectively. The same will occur if the expectancy increases or decreases. The term-certain method calculates the required minimum distribution you must take once you reach age 70 1/2 if you have a traditional IRA. This calculation is based on your life expectancy at the time of the first distribution. As the amount is withdrawn each year, the account's balance steadily decreases until, theoretically, the balance equals zero when your life ends. All your IRA funds could be exhausted if you live significantly longer than projected. To avoid outliving your IRA funds, you can choose the recalculation option, recalculating your life expectancy every year. The life expectancy method can also be used for the required minimum distribution for traditional IRAs after you reach age 70 1/2. The method of calculation is the same as for an early withdrawal. However, after age 70 1/2, you can use the IRS' joint life expectancy table for you and your spouse to make the calculation, as long as your spouse is the sole beneficiary and at least 10 years younger than you. 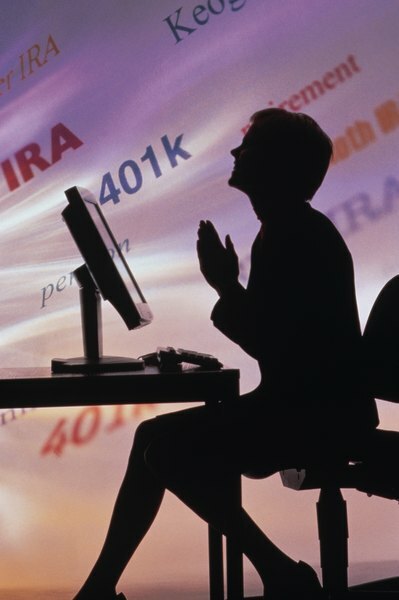 Is it Best to Receive Regular Withdrawals From Your IRA? What Is a Decedent IRA? When Must a Beneficiary of a Decedent's IRA Take Withdrawals?